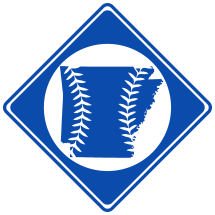 Dr. Charles Alexander Keith, born February 28th, 1883 near Hot Springs, AR or Amity, AR, was a professional baseball player and collegiate baseball coach. He played with the University of Arkansas from 1905-1906. He later attended University of Texas where he was head baseball coach in 1910. Keith played professionally with the Little Rock Travelers from 1906-1909. Keith with Little Rock, 1906. Keith was born in a log farmhouse about eight miles from Hot Springs, AR1. He was the son of Henry P. Keith and Mary M. Jones and grew up on his family's farm near Amity, AR2. He attended Amity High School3 and grew to be between 6'4" and 6'6". His athletic physique allowed him to pitch for the school baseball team. Keith was a Rhodes Scholar at Oxford University. While at Oxford, he played baseball in London. He was later a long-time teacher at Eastern Kentucky University where he coach both basketball and football. While at EKU, Keith encouraged future Hall of Famer Earl Combs to play baseball. Keith became Dean of Men at EKU in 1921. A building on campus at EKU is named after Keith as his wife Anna Roe Dickson Keith. Keith wrote an autobiography entitled "Fast Balls and College Halls," published in 19604. Keith died June 22nd, 1960 in Louisville, Kentucky. For contemporary newspaper excerpts concerning Keith, see Charles Keith Excerpts.